For those of you, like me, that have iPhone models that no longer have a headphone jack AND a charging port, so you have to use the Lightning bolt adapter cable.... its a PITA to remember to bring it with you. I always seem to forget mine somewhere, and they aren't SUPER pricey, but they aint free either. So I found a better solution to letting it free float in my pockets. 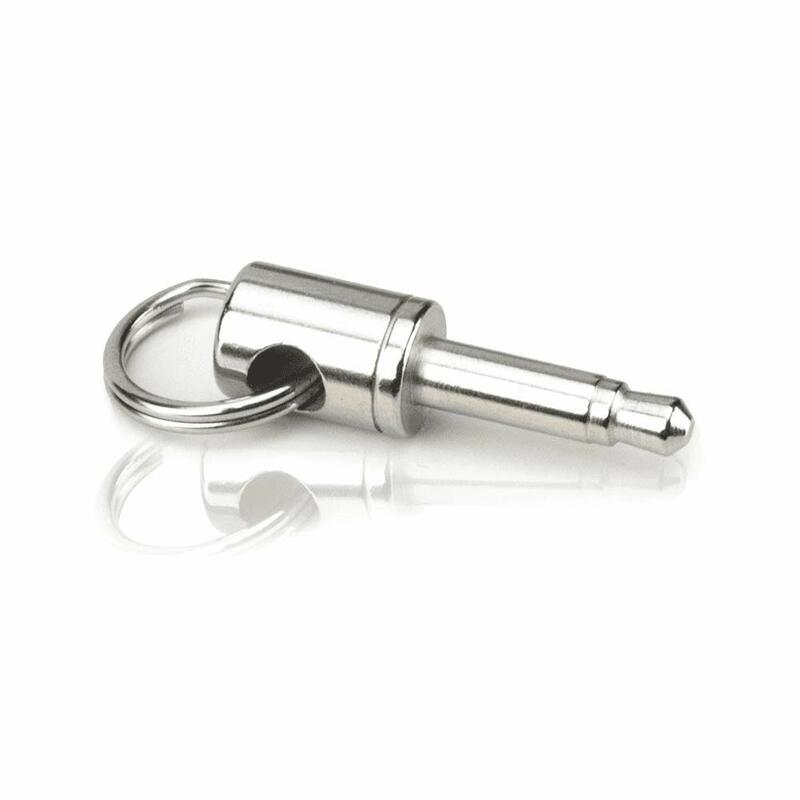 This little thing goes on your keychain and lets you attach the adapter to it and carry it with your keys. I'm buying one today because this is going to be the LAST TIME I get to work, stoked to jam out to my headphones, only to realize I have the wrong adapter. Cool little invention, but I have to ask, isn't the dongle always connected either to your phone or your headphones? I just keep mine in my headphone bag. The only danger of losing it is on long planes rides when I have tons of crap and it might fall out into that magazine pouch...other than that, I don't see any need for it. But if its useful to you then great!